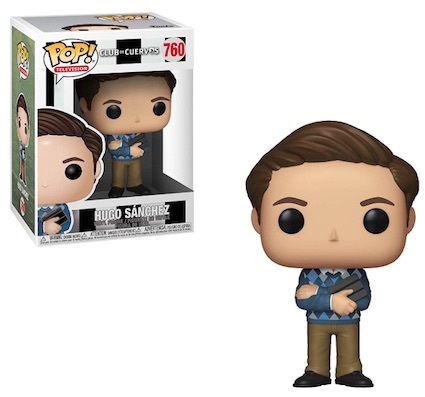 Product DetailsThe Spanish-language Netflix series jumps to vinyl in Funko Pop Club de Cuervos. Translated as Club of Crows, the show, which debuted in 2015, follows the drama surrounding a fictional soccer team (a.k.a. football club) in Mexico. Salvador "Chava" Iglesias Jr., played by Luis Gerardo Méndez, is tapped to run Cuervos FC after his father's death. He rocks a black vest with his styled hair and wears a silver necklace and ring. The in-over-his-head team president also receives considerable pressure from his sister, Isabel, but does not seem too worried about it. Buy Club de Cuervos Pop figures on Amazon. His assistant is not the Hugo Sánchez, a retired Mexican soccer star, but he is still Hugo Sánchez nonetheless. Sánchez is there to help Chava in his goal to make the club a global football power. He is dressed very conservatively in a sweater and khakis. Clearly, Funko Pop Club de Cuervos started slowly with only two figures. If the Pop! Television line proves popular, the set could expand to include Isabel and the senior Iglesias' ex-girlfriend Mary Luz Solari. Other options include Felix Domingo, who is the vice president and technical director for the club, and several of the players from Cuervos FC. However, that is all speculation at this point. Please leave a comment below if you come across any other vinyl choices from the Netflix line. Click on the listings below to shop for figures on Amazon. FUNKO Club de Cuervos Pop! 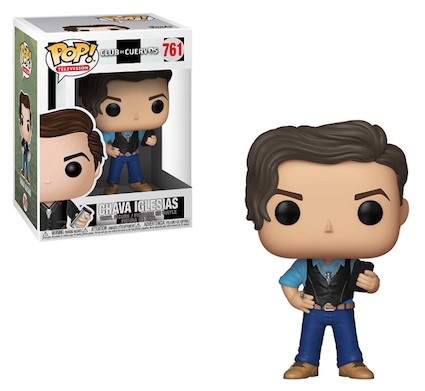 Vinyl Figure Chava Inglesias  NEW IN STOCK! 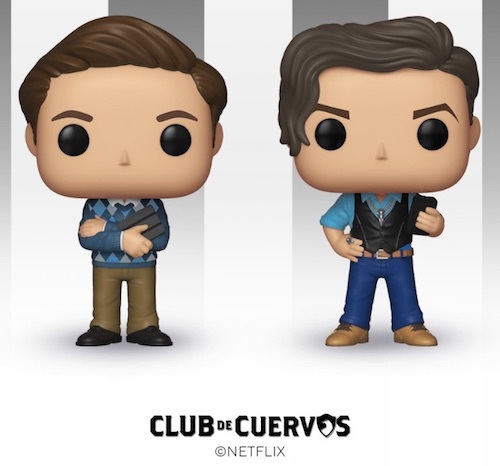 FUNKO Club de Cuervos Pop! Vinyl Figure Hugo Sanchez  NEW IN STOCK!